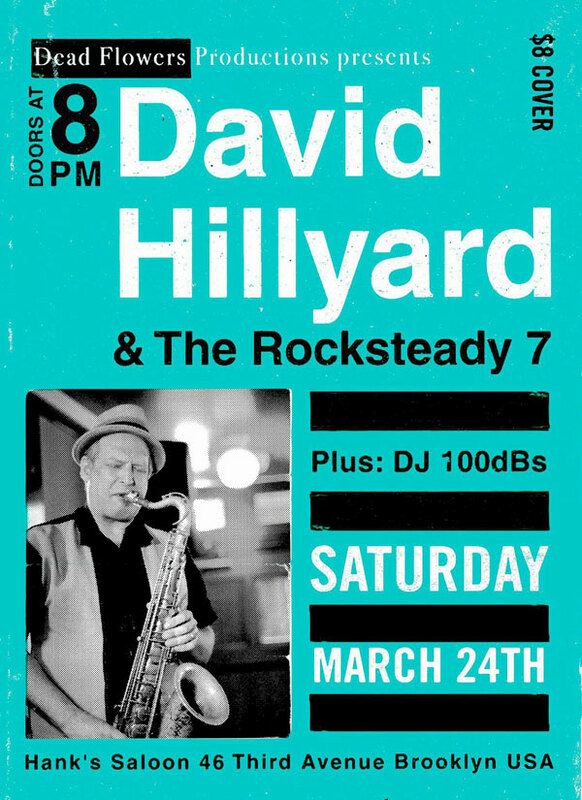 Another Version returns to Lovers Rock! 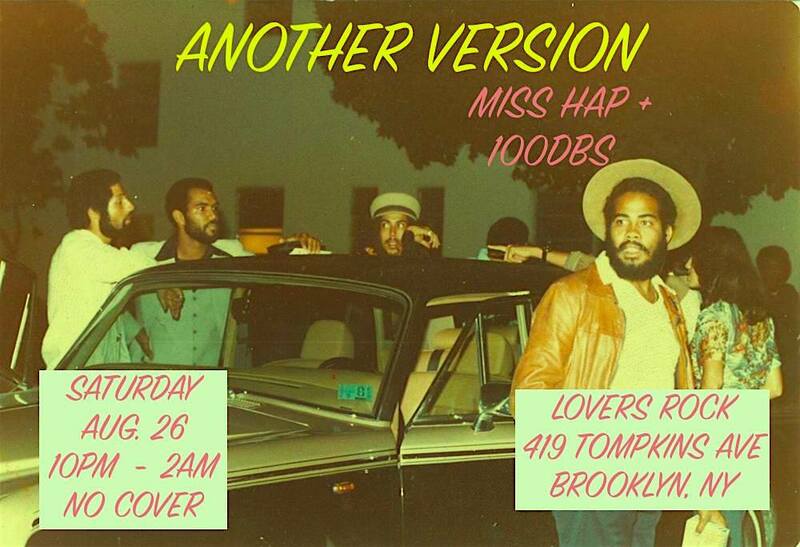 This Saturday, Another Version returns to Lovers Rock in Bed-Stuy! 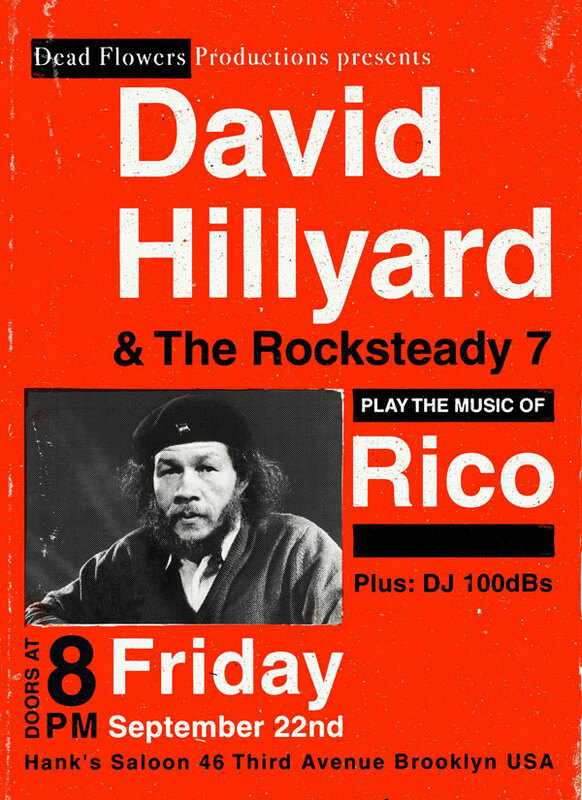 Miss Hap and I had a blast the last time, so we’re reloading our crates full of roots, digi, and early dancehall for the people. Don’t miss it. 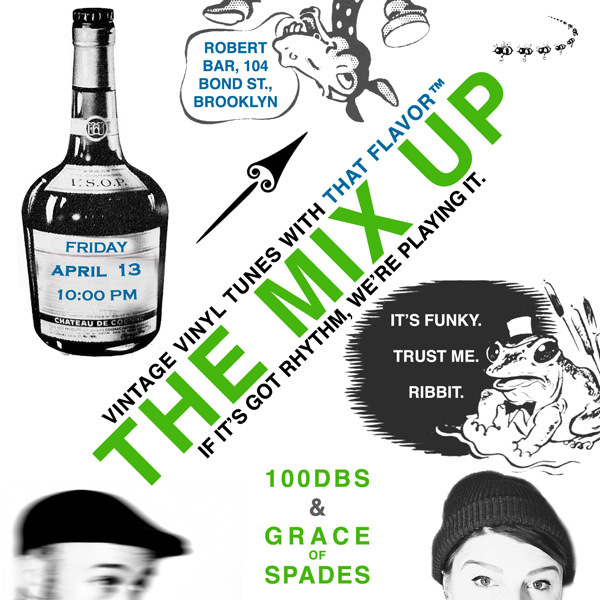 The Mix Up is back again, with my longtime sister Grace of Spades providing an assist. Grace and I have been playing records together for about a decade, and we’ve been around the block together. 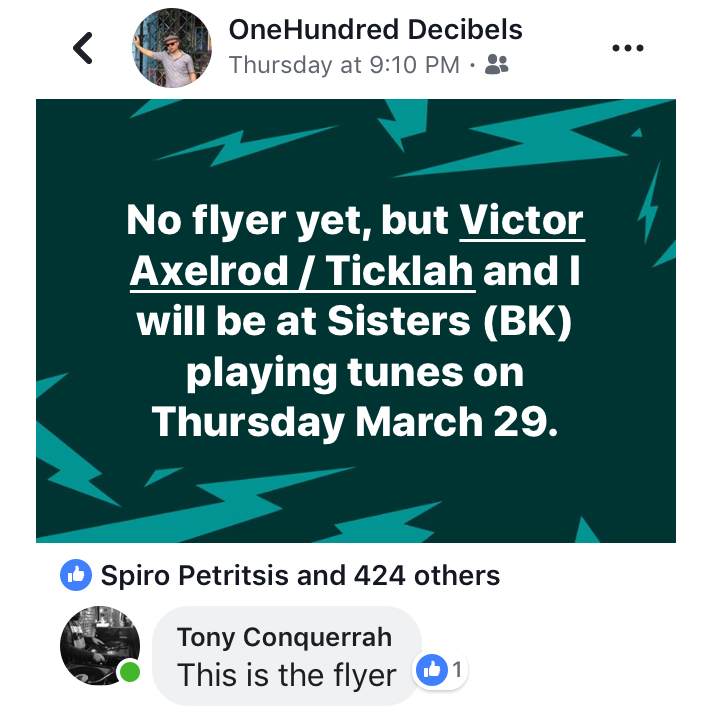 We’ve rocked Brooklyn DIY parties and supported tons of musicians in NYC between sets at their shows. Our makeshift DJ tour from NYC to New Orleans and back years ago was one of the most memorable trips I’ve ever taken. I can’t actually remember the last time we split a bill together, but we’re gonna do it again this Friday. Free as always, so you can enjoy more delicious cocktails. Special thanks to Monika Julien for putting this crucial event together. 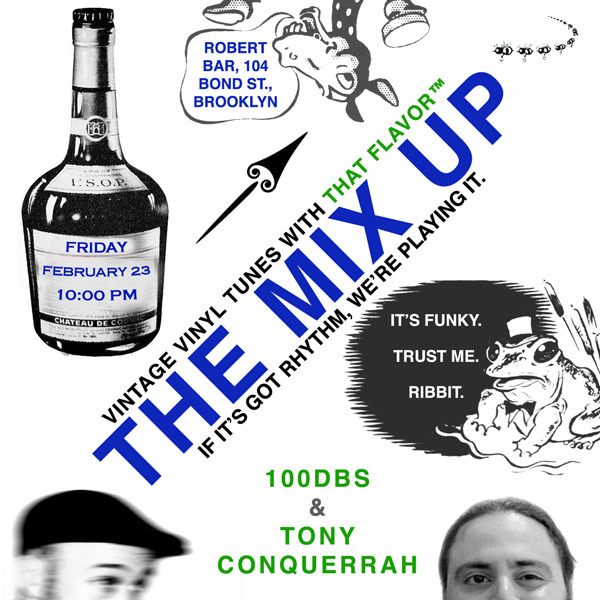 The Friday after next is this month’s Mix Up, with Tony Conquerrah and I joining forces! 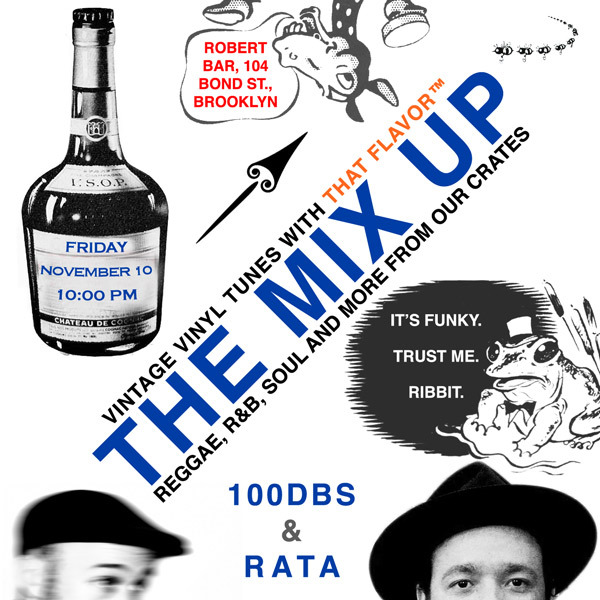 As usual, our selections are kind of a free-for-all, but plan on hearing plenty of reggae, soul, and funk. Tony is a great selector and radio host (Shanty Town) who put my Soon Come project on the air when it was in its infancy. I love his show and tune in often, so I asked him to do The Mix Up with me, and here we are. Tonight, The Mix Up returns to Robert, with Jah Measels in tow! 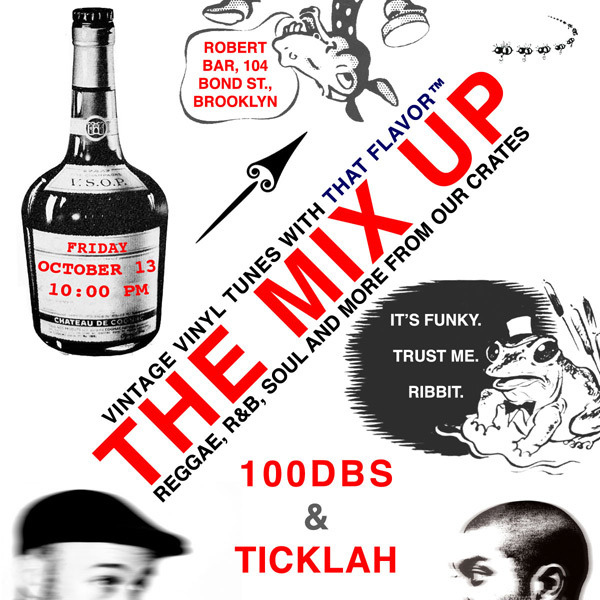 This time, we’re bringing punk, soul, and of course, Jamaican sounds for your listening pleasure. Free to all. Jah Measels and I first met in a Flatbush basement, and instantly hit it off talking about skinhead reggae, punk, and hip hop. I’m sure you’re gonna love his records.